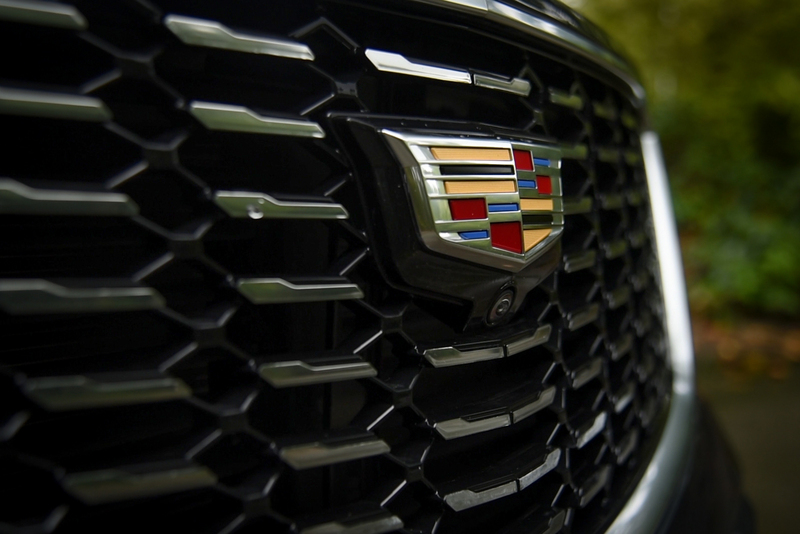 Striving to expand and revitalize its lineup, Cadillac is poised to launch a new or redesigned model every six months through 2020. At the tip of this dagger is the fresh-faced XT4 compact crossover, which will be thrust into showrooms before the month is out. Sized, equipped and priced to stymie the best efforts of BMW, Volvo, Audi and others, this vehicle competes in one of the luxury market’s fastest-growing segments, one that Cadillac can no longer afford to ignore. 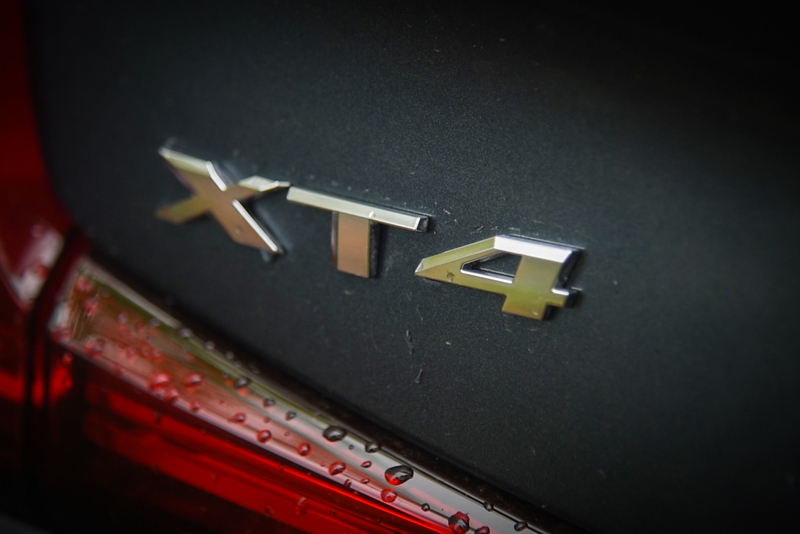 Aside from competing with vehicles like the X1 and Q3, the XT4 is also tasked with luring a whole new generation of customers into showrooms around the world, of appealing to drivers that crave a versatile, upscale vehicle with monthly payments that won’t send them into bankruptcy. Product Offensive or Offensive Product? “Starting today, it’s on. 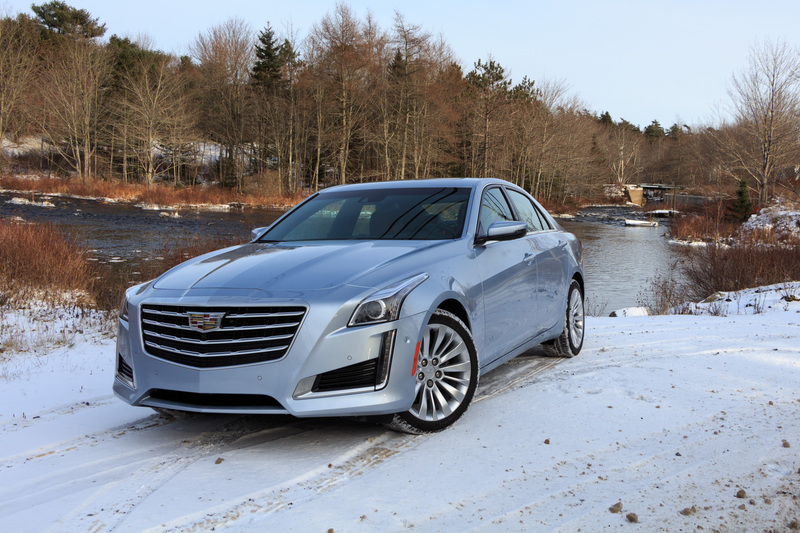 We’re getting back in the game in a big way,” said Steve Carlisle, president of Cadillac. And perhaps no other point more clearly emphasizes his claims than what’s underneath this vehicle’s inconspicuous bodywork. According to its chief engineer, the XT4 rides on an all-new architecture because there was nothing currently in the GM portfolio that could deliver everything they wanted, chiefly extreme rigidity, ample cargo space and segment-leading rear-seat legroom. Not only that, there’s been an equally significant a revolution under the hood. At least for the time being, all XT4s are powered by the same engine, a 2.0-liter turbocharged-four that’s also a clean-sheet design, sharing nothing with GM’s other engine of same displacement and configuration. As it turns out, it was easier for them to start from scratch than try and retrofit the existing powerplant with all the fancy, fuel-saving features they wanted to incorporate. Brand new from drain plug to filler cap, the new engine is 15 pounds lighter than its predecessor, despite gaining features like variable valve lift for enhanced performance and economy, a twin-scroll turbocharger to provide more scoot off the line and even an electric water pump, which further reduces parasitic losses. Of course, it’s also fitted with direct fuel injection, stop-start and an electric wastegate. 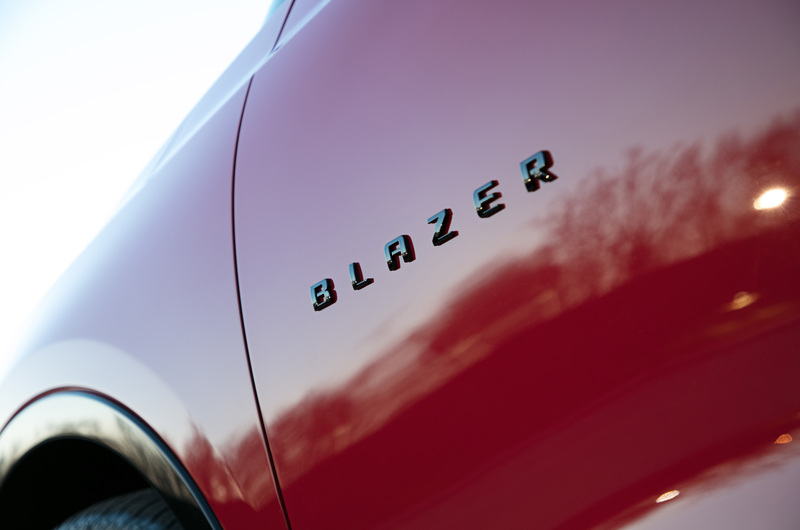 The result of all this technology is an SAE-certified 237 horsepower and 258 pound-feet of torque, more than adequate if not jaw-dropping figures. It’s not hard to squeeze more juice from an engine like this, but maximum output wasn’t the goal, minimal turbo lag and enhanced real-world drivability were, which is why about 97 percent of that peak twist is available from just 1,500 to all the way up to 5,000 rpm. A swift-shifting nine-speed automatic transmission also helps enable excellent everyday performance. A selectable, twin-clutch all-wheel-drive system is optional, you know, for customers that reside in areas that receive more than one or two seasons. For increased efficiency, its rear axle can be completely disconnected when extra traction is not required. If all its wheels are powered, the XT4 should sticker at 22 miles per gallon (10.9 L/100 km) city and 29 (8.2 L/100 km) on the highway. Combined, expect it to average 24 mpg (9.7 L/100 km). 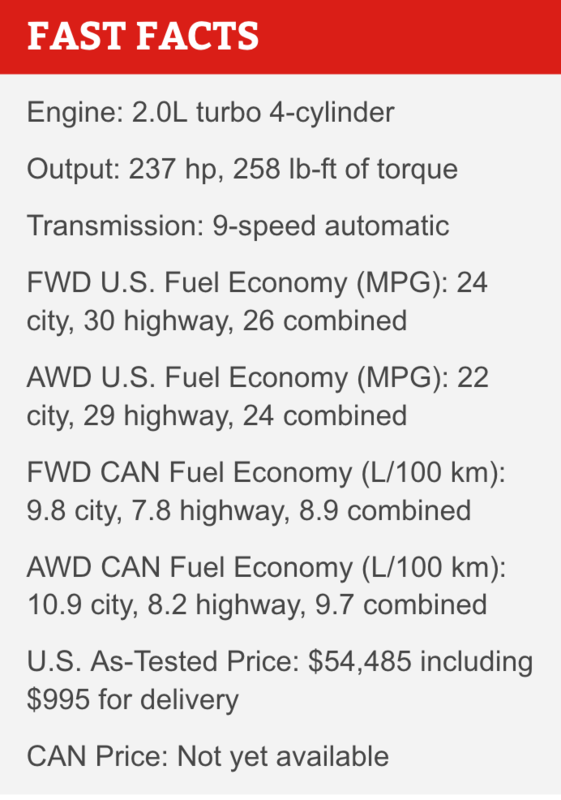 If you stick with front-drive, those figures to increase by two miles per gallon on both city and combined cycles and one on the highway, meaning this luxury vehicle delivers up to 30 mpg, economy-car numbers from just a decade or so ago. Keeping things refreshingly simple, the 2019 Cadillac XT4 will be offered in three different flavors. Luxury is the base trim, but after that, there’s a fork in the roadway. If you want more features and amenities opt for a Premium Luxury model; if driving pleasure is more your thing, grab a Sport version, which gains unique visual elements and even adjustable suspension dampers. 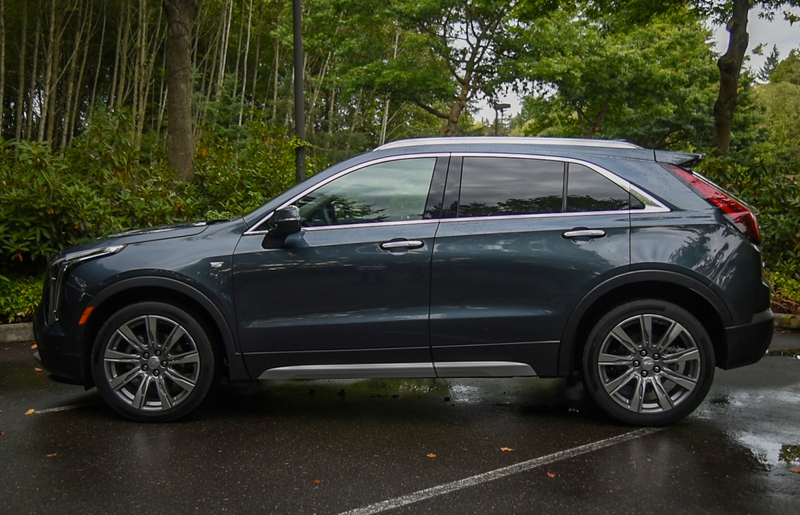 Visually separating Sport-trim XT4s from their more luxury-focused brethren are things like special wheels, black grille inserts and exterior window trim, plus clear taillamp housings. Offering plenty of choice, eight exterior colors are available along with seven interior themes. All models feature advanced LED low- and high-beam headlamps; 18-inch wheels are standard while 20s are on the options menu. 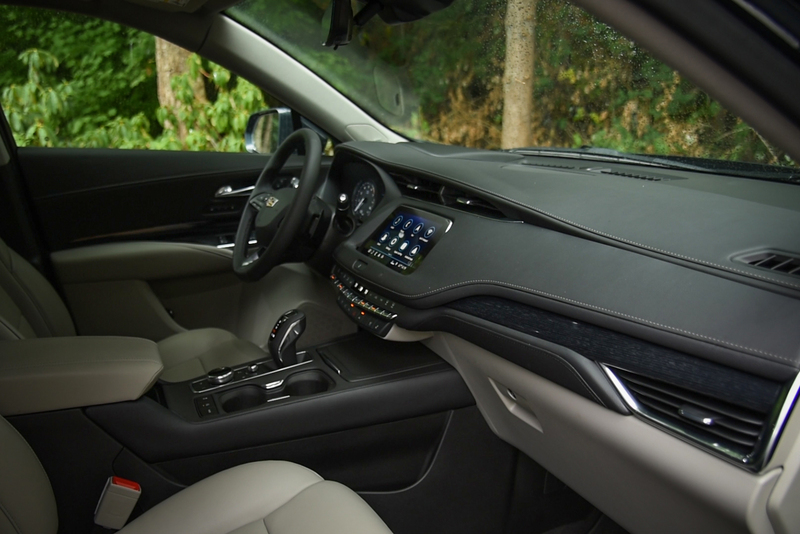 No matter the model, all XT4s are graced with a reasonably luxurious interior. 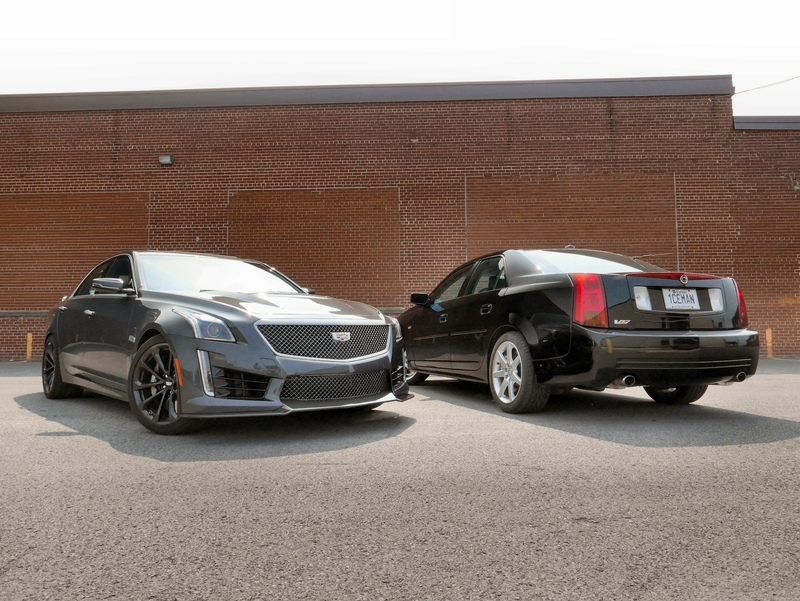 In keeping with recent Cadillac designs, the overall look is angular and somewhat dour, though there are plenty of soft plastics and premium stitching. 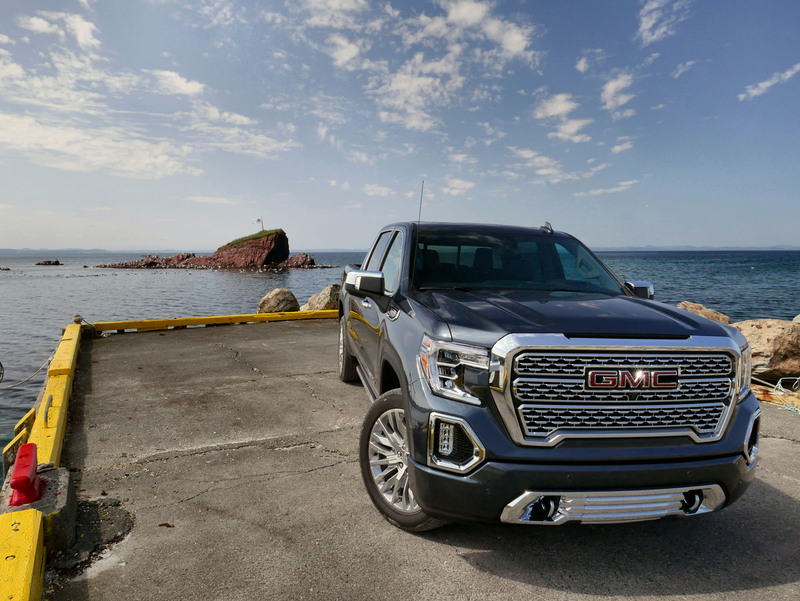 The front bucket seats are supportive and comfortable, as is the rear bench, which offers just shy of 40 inches (100 cm) of legroom, more than enough for six-foot-tall passengers to sprawl out. Cargo space is likewise impressive, maxing out at nearly 50 cubic feet (1,385 liters). But perhaps the most outstanding part of this cabin is the infotainment system. Quick to respond and easy to figure out, it’s hands-down one of the best on the market today. In fact, pinch-to-zoom on the map is faster and smoother than I’ve ever seen in a vehicle, performing just like a high-end tablet computer. If you’d rather not reach out to the dashboard and get greasy fingerprints all over the standard eight-inch display screen, engineers have also added a rotary control knob to the center console, orbited by a series of shortcut buttons. Curiously, this arrangement operates many infotainment functions but not all of them. If you want to adjust the climate-control system you’ve got to reach for the dashboard. Keeping today’s smartphone-wielding road-warriors juiced up and always connected is more powerful, next-generation wireless charging. Near-field communication (NFC) provides quicker pairing with the vehicle. Some drivers will appreciate this gadget, others will use it for 10 seconds and then never again. GM’s second-generation Rear Camera Mirror takes a live video feed from the vehicle’s rump and displays it on a screen mounted behind the rear-view mirror’s glass. This feature dramatically increases your aft field of vision, though some people find it far too unnatural looking. I happen to think it’s a valuable addition and use it whenever a vehicle is so equipped. A mere two blocks of driving is all it took for the XT4 to impress this crotchety automotive scribe, feeling light and nimble, with a certain carefree confidence to it. The steering is also quick on the draw and a bit wispy, a combination that proved unexpectedly agreeable. The vehicle’s ride is smooth and well isolated without being sloppy, though large, undulating surfaces can cause a bouncy sensation. Sport models with their adjustable dampers are equipped to cope with these sorts of roads. Putting them in Sport mode stiffens the dampers, preventing much of the perceived body float. Acceleration is quick in every situation, the well-behaved transmission ripping through its ratios in short order and without fuss. The gearbox is well behaved, with no improperly timed shifts or clumsiness. As promised, the engine hits its stride essentially from idle on up, pulling with vigor right off the line. Unfortunately, it still feels and sounds like a four-banger, producing slight vibrations and coarse noises at certain speeds, though, fortunately, never in quantities to be annoying. Cylinder deactivation nixes combustion in the center two cylinders in driving situations where extra performance isn’t required. It’s also totally imperceptible. I never could tell when it was working its fuel-saving magic. If there’s one downside to the way Cadillac’s new XT4 behaves it’s the brake-pedal feel. Engineers went with an electro-hydraulic system rather than one with a traditional vacuum booster. This solution certainly has its benefits, being lighter and easier to package under the hood, but in practice, it feels unnatural, a bit rubbery. It reminds me a lot of how a hybrid’s regenerative braking feels, a minor complaint. With handsome styling, a pleasant driving experience and plenty of interior space, there are no deal-breaking reasons not to consider the new Cadillac XT4. 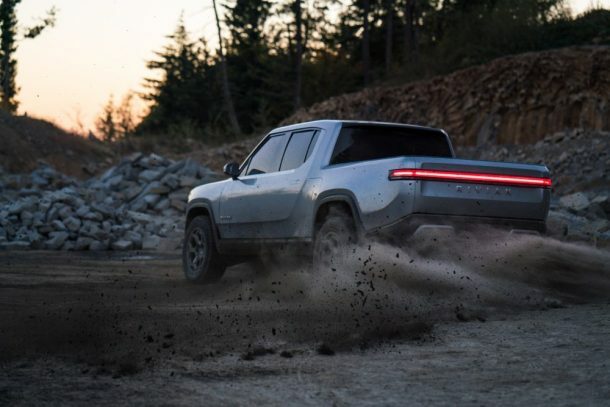 Base price for this compact utility vehicle is right around $36,000 ($47,000 CDN) but the nicely appointed Premium Luxury model tested here checked out at $54,485, including $995 in delivery fees ($71,500 CDN). The XT4 should be arriving at dealerships by the end of the month.